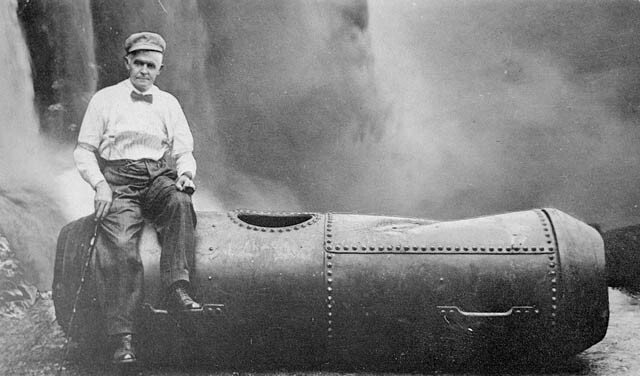 In the year 1911, Bobby Leach was the second person, who survived tripping over the beautiful, yet dangerous, Niagara Falls in a huge steel barrel. Even though a lot of people thought it was courageous, there were others that called this act to be a purely foolish and stupid one. Despite this courageous act, his death happened due to a very strange reason – the daredevil and the brave soul died due to slipping over an orange peel! According to the New Zealand newspapers, the daredevil’s injury was not a big one to cause any sort of a death; he simply had a broken leg. However, the broken leg got infected with gangrene and the limp had to be removed. After the amputation, Leach’s health deteriorated rapidly and there was no way in which the medicines worked on his body. By April, 1926, he died. Bobby Leach had always been one of the most popular people around the globe, due to his brave act. He had trapped himself in a large steel barrel and tripped over Niagara Falls. This brave man took his last breaths in a private hospital in Auckland. When he died, he was 69 years old. No traces of his limb weakening due to his trip over the falls had been found, even though a lot of people have argued about the same. Many people know him as the first man to survive the trip over the falls because the first ‘human’, who survived the same was a woman named Annie Edson Taylor. The lady tripped over the falls in a barrel, too, and survived in the brave act. When she died due to natural causes, she was 82 years old.